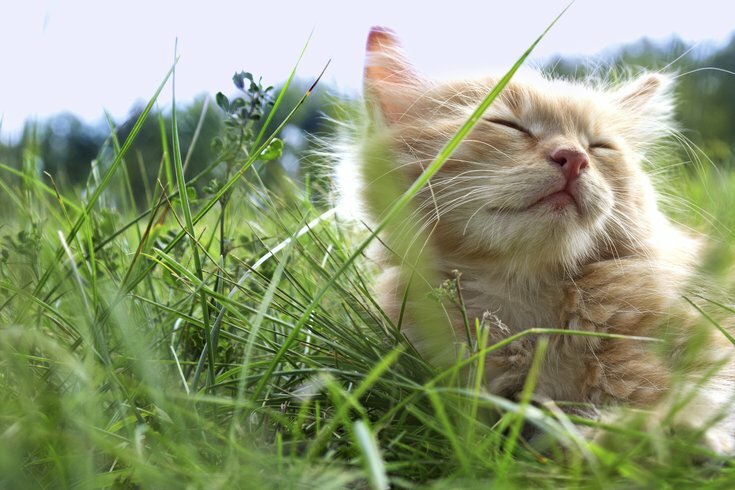 A brown kitten sleeps in grass during the day. The Philadelphia Animal Welfare Society is raising money this month to help make Philly a no-kill city. With Philly Loves PAWS, their main fundraising effort, residents can donate to the organization just by shopping or eating out Wednesday, May 20. Dozens of businesses - from restaurants to bookstores - will donate 10 percent of their day's proceeds to the nonprofit. Proceeds will go toward PAWS' mission to rescue the city's stray and abandoned pets, take care of them and find them healthy adoptive homes. The money also supports PAWS' participation in the 2015 Saving Pets Challenge, the winner of which gets an additional $50,000 grant from the Found Animals Foundation. Cantina Dos Segundos, Dog Magrogan's Oyster House, P'unk Burger, barkadelphia, Smak Parlour and more will take part in the fundraiser. View the full list of participants here. Businesses can join the fun here.